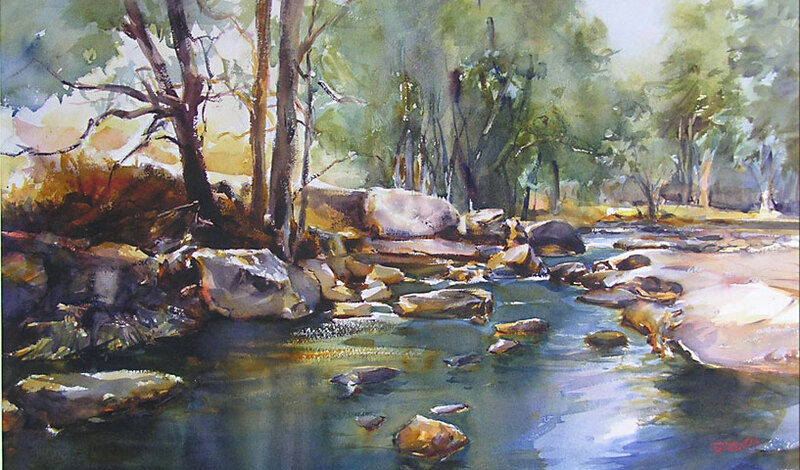 An adventure of discovery, the rich tapestry and colour of the Australian landscape inspires me. 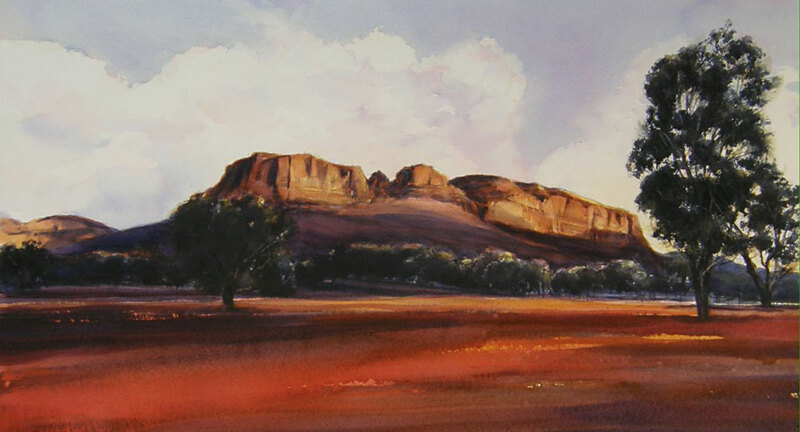 With its rugged beauty, I am always inspired by the unfolding landscape peppered with its towns and communities. 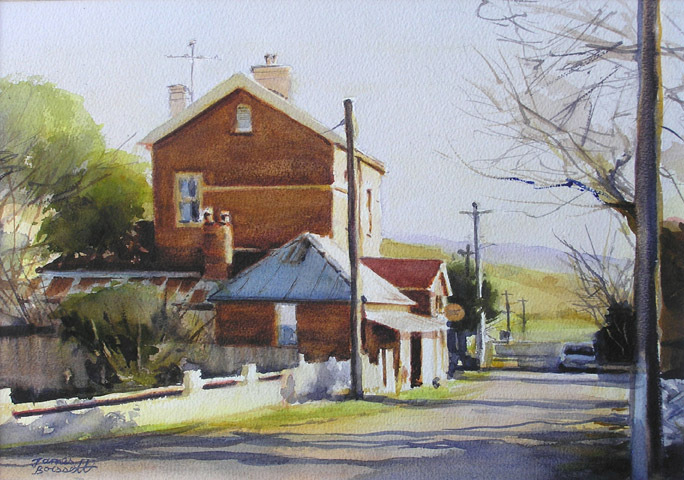 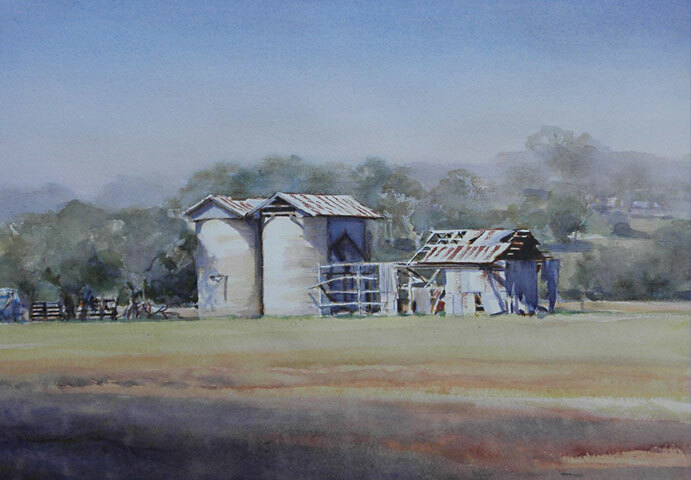 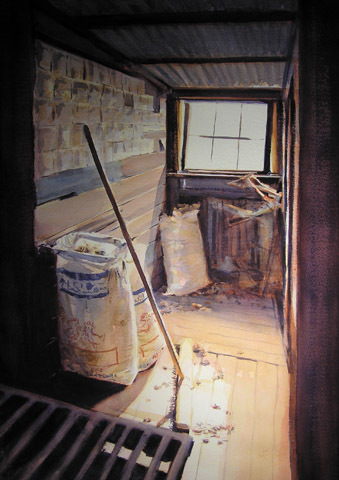 Country New South Wales and its rustic appeal have always interested me. 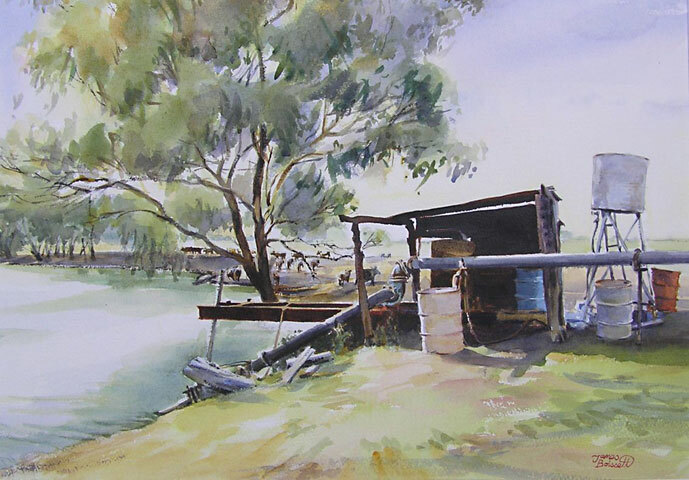 I frequently travel to the Western Districts, scouring the countryside for subjects and am never disappointed by its charm and the simplicity or the rhythm of the changing seasons with rolling patchworks of pastures and farms. 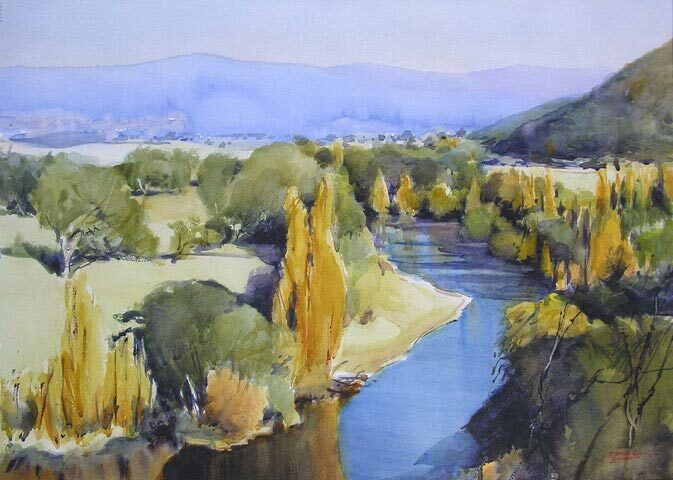 Meandering rivers with elegant poplars in hues of orange and gold complimenting the deep snow fed tranquil blue waters leading the eye to distant old goldfields of Victoria. 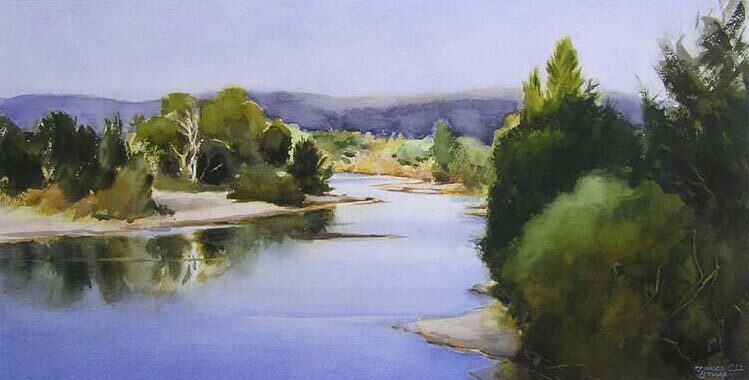 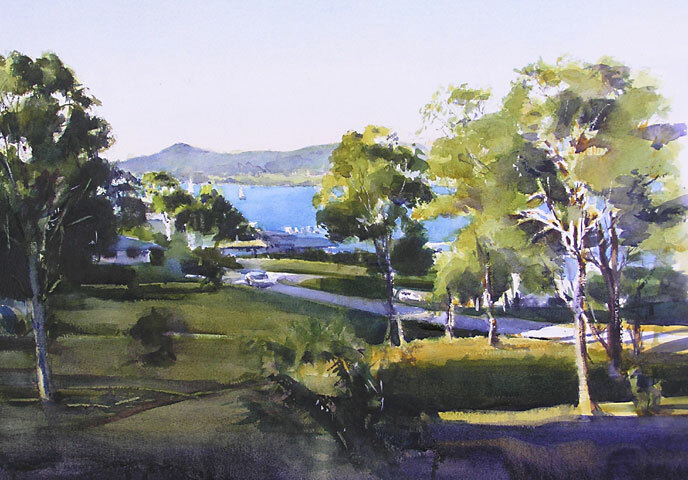 Mighty rivers such as the Nepean and Shoalhaven are a joy to paint as they carve through the landscape with a quiet and purposeful strength. 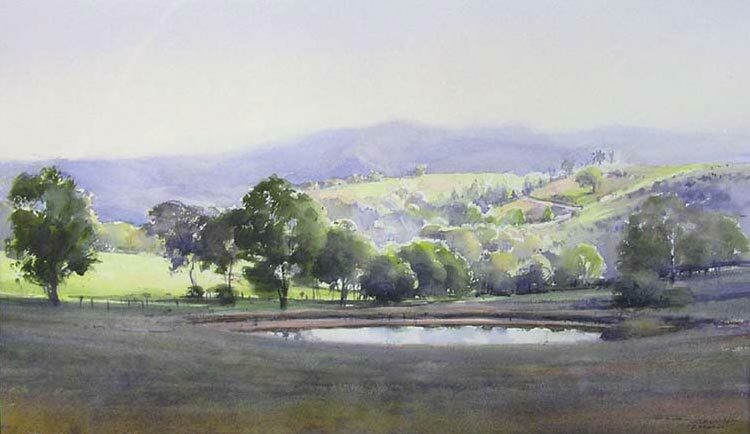 Over centuries their banks and shape have evolved into what we see today. 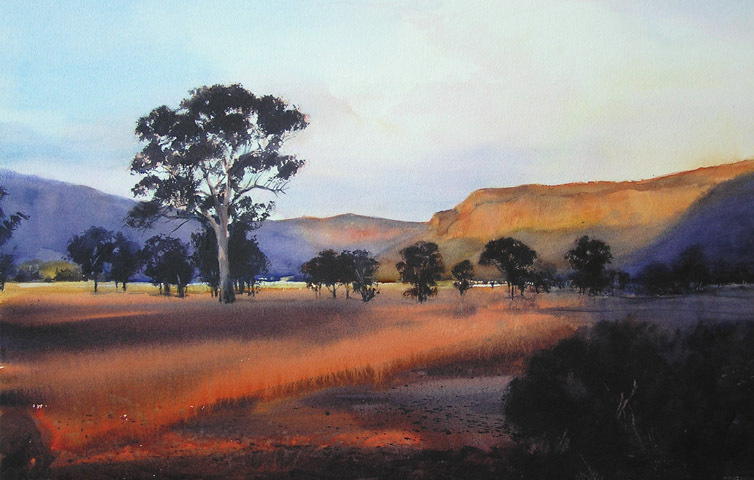 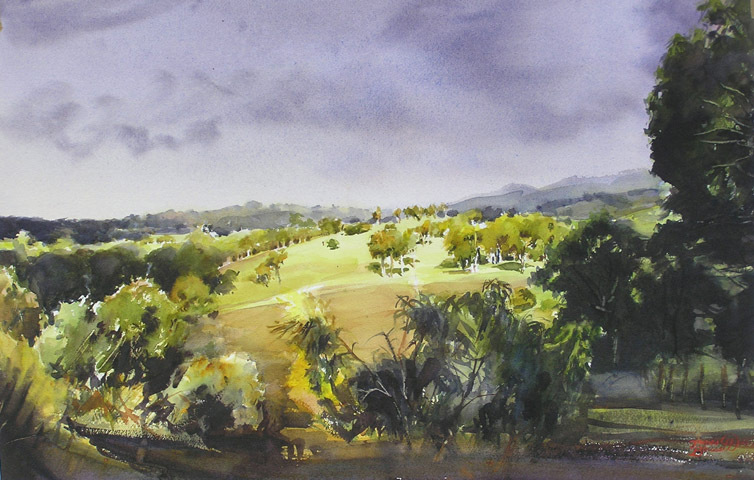 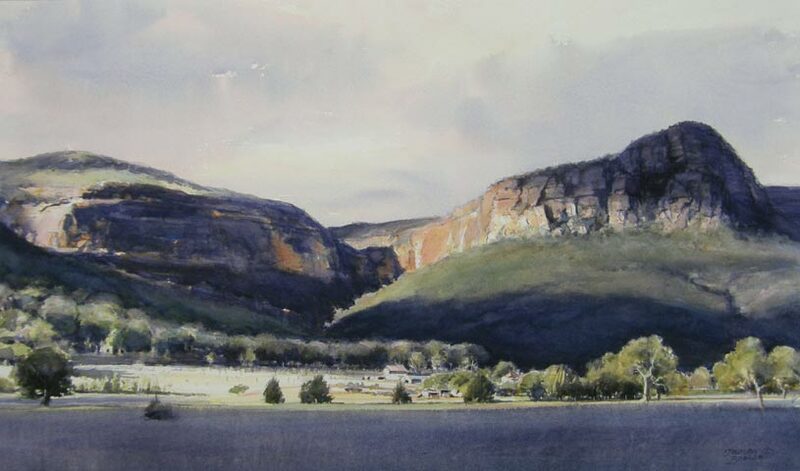 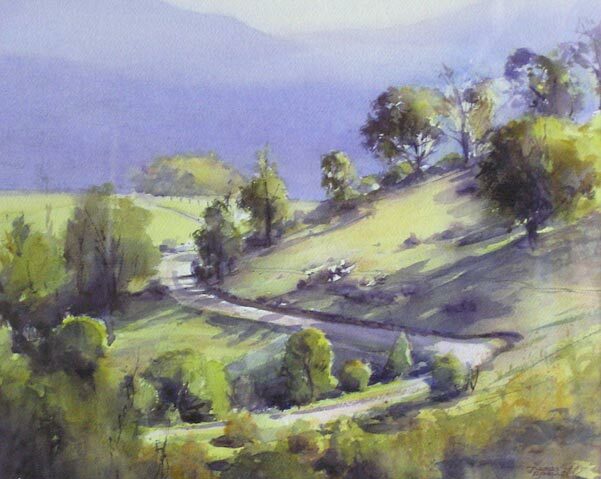 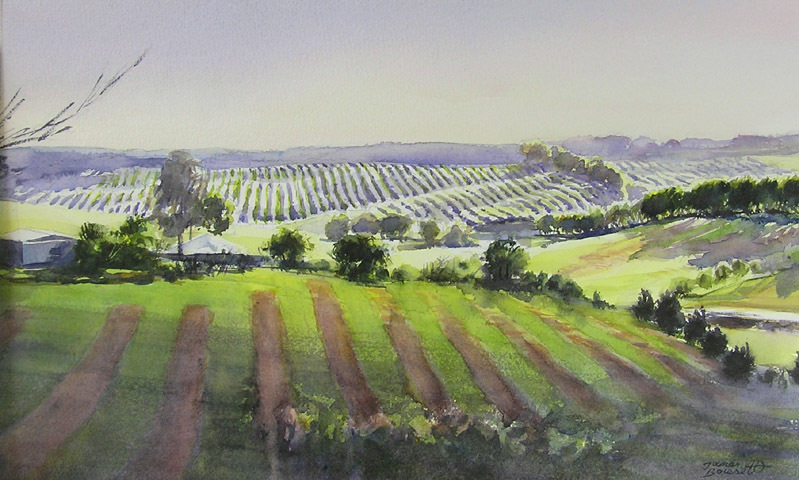 Whether I am doing a watercolour painting of the last rays of the sun hitting a jagged escarpment of rock in the magical Capertee Valley, or the gentle flow of a river winding slowly along a hidden valley floor, I love to paint these scenes for others to enjoy.